As a new Scout, get a jump on the Scouting Badge. All requirements for the Scout rank must be completed as a member of a troop. 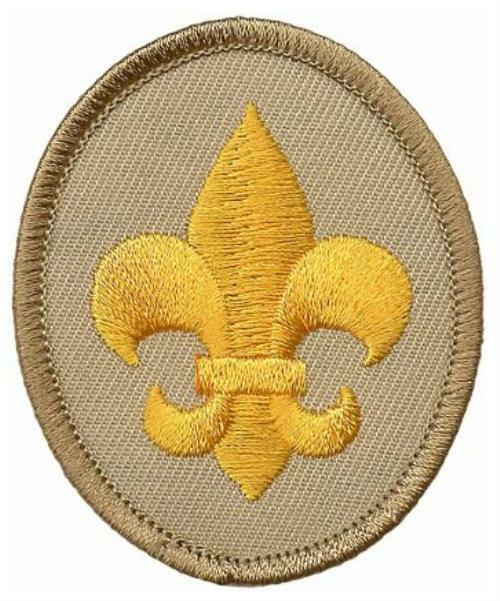 If you have already completed these requirements as part of the Webelos Scouting Adventure, simply demonstrate your knowledge or skills to your Scoutmaster or other designated leader after joining the troop. 1c. Demonstrate the Boy Scout sign, salute, and handshake. Explain when they should be used. 2b. Describe the four steps of Boy Scout advancement. 2c. Describe the Boy Scout ranks and how they are earned. Complete these and you will receive your Scout Badge! Interesting set of work sheets from on-line scouting source--PLEASE check to ensure these are current and complete. These work sheets are a great way to jumpstart your next rank advancement. Pick a topic, event, or activity that sparks your interest and have fun!! Remember, you can always "work ahead" on your advancement--check out our Troop Calendar to see the monthly theme, upcoming merit badge, or other events. We need your feedback, so if there is an activity or event we need to include--please reach out to your Patrol or Adult Leaders!! After a Scout has completed the requirements for any rank or Eagle Palm, he appears before a board of review. Its purpose is to determine the quality of his experience and to also encourage him to continue the quest for the next rank or Palm. Troop 1372 hosts a monthly board of review, to assure Scouts are not delayed in beginning time-oriented requirements for the next rank. Attached is A Guide to Conducting Boards of Review, dated October 2014.